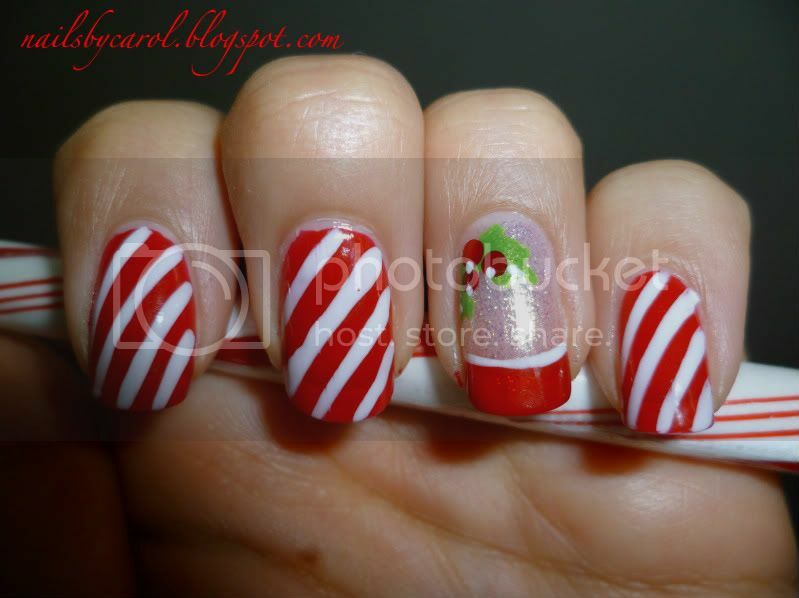 This is my first festive and holiday related manicure. 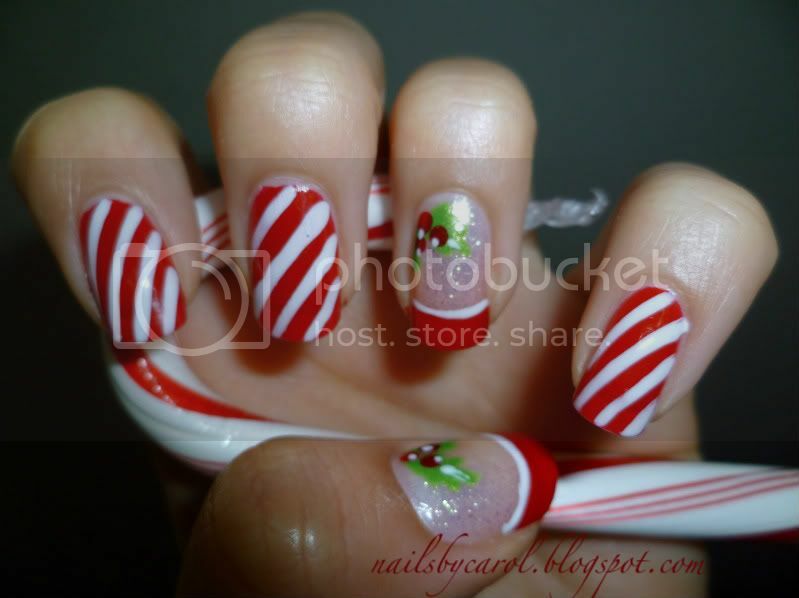 I remember when I was not into nail art, I attempted some candy cane design and I failed miserably. This year is different because now, I feel a passion for nails. 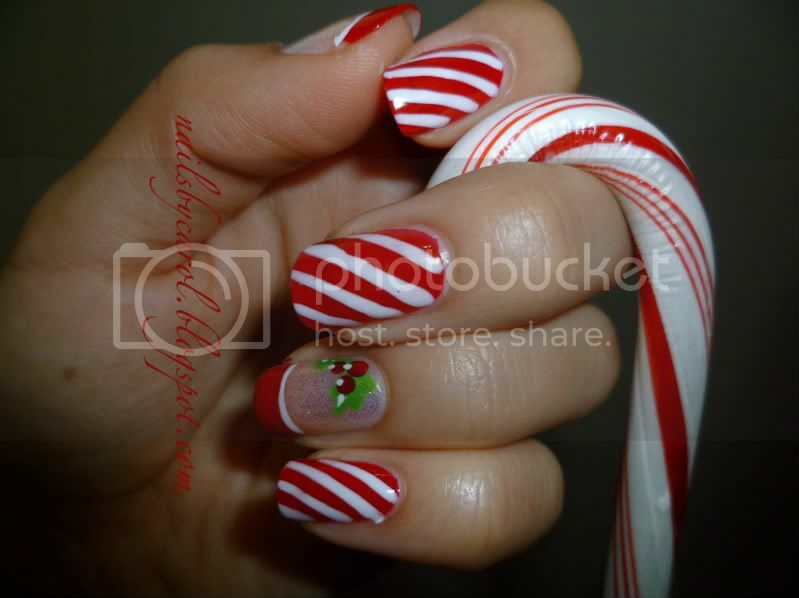 Let me tell you that I LOVE peppermint candy canes, it is my favorite candy. 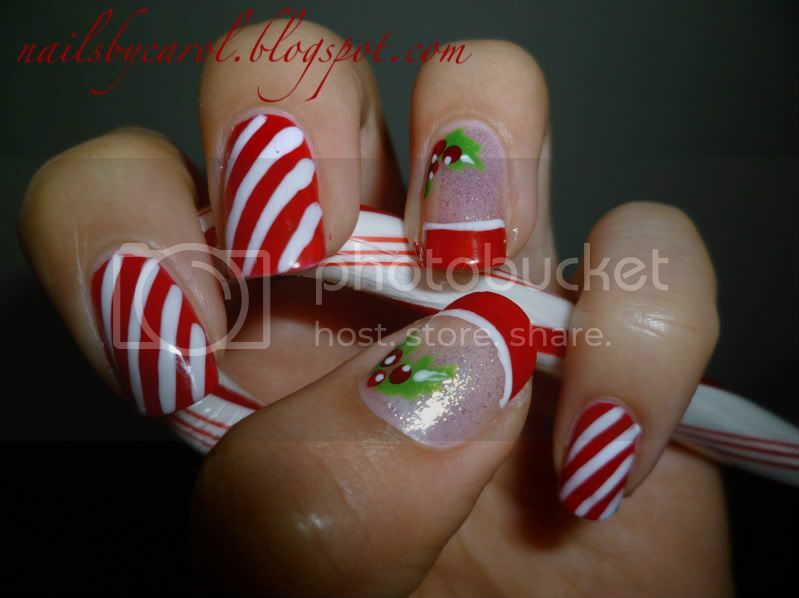 Here is what I accomplished this time to get into the whole Christmas celebration this year.